Sure, we’ve got award winning teams and great clients. We’ve got flexibility and benefits. We’ve even got kegs of beer. But really, why should you join us? Because you know success is not just about you. It’s about all of us. Energetic, entrepreneurial, adventurous, determined, vibrant. These are just some of the words that describe our culture. But don’t take our word for it, see for yourself how our people describe life at LEWIS. It’s all about people. 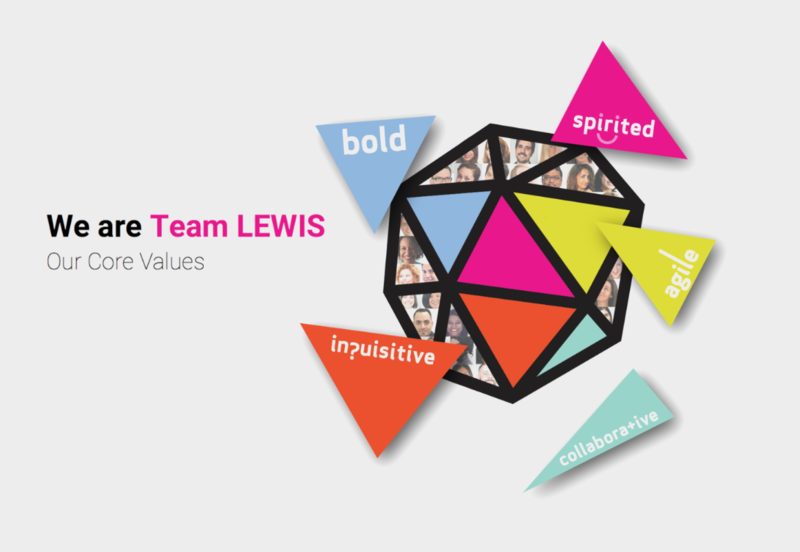 Despite being a diverse team, spanning an extensive international network, our strong LEWIS culture binds us together. At the core of our culture are our values. LEWIS has a global culture because the world is driven by the internet. Our clients’ market potential is world-wide. This is why we want our employees to experience international cultures. Using the LEWIS Passport, you’ll have access to a network of colleagues and opportunities around the world. Irrespective of your role or experience, you can visit another office, meet international colleagues, explore new cities and immerse yourself in new cultures. It’s also chance to see the diversity of our industry and work with a new mix of clients. We offer two Passport schemes. One allows you to get a taste of different LEWIS offices. The other involves an extended visit to another office to focus on a specific business project. You also have the opportunity to participate in our twin office program, which allows teams in different parts of the world to learn from each other and collaborate on initiatives. We’re big believers in employee ownership. We have the largest employee ownership scheme in the industry, with over 70 Partners and counting. The LEWIS Partners are our employee stakeholders. Each year the Partner Group nominates new members. Outstanding contribution, commitment, dedication, passion and sense of humour are just a few of the attributes necessary to join the group. We make training and development a top priority. New grads: Are you looking to gain hands-on experience in an agency environment and kick start your career in PR or digital marketing? Look no further – learn more about our Graduate Training Academy.